Sound editing is choices. What to put in; what to leave out. It also requires taste. We have years of experience in making bold choices and honing our impeccable taste. We have an extensive commercial and custom library - with over 100,000 sounds -- yet know how to capture just the right sound. 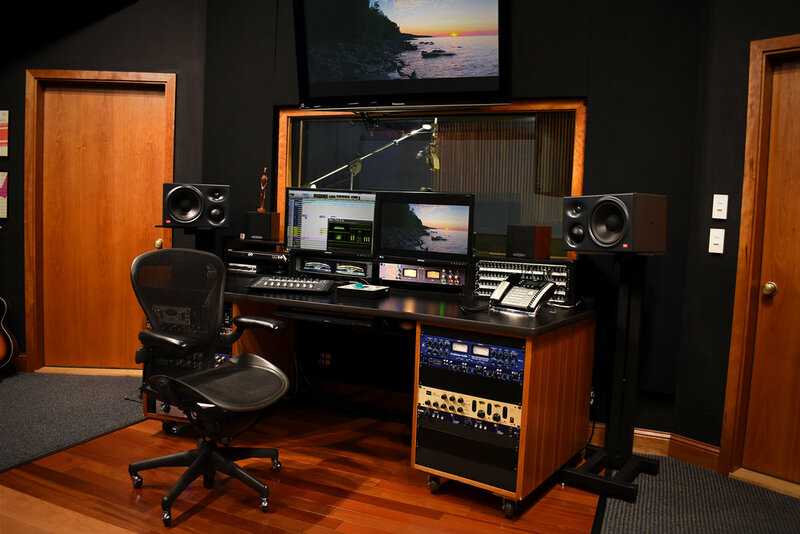 A great sound edit is the foundation of a great mix. We also know how to smooth out rough sources that you need to tell your story. Saving less-than-ideal location sound is one of our specialities. Working with either great or compromised sound, we have the tools and talent to weave it all into a compelling sonic story while hitting all the delivery specs. We are professional listeners. "The audio (where soundscape gives way to sound track) and the visual collude to invoke the psychological inner world that's worn like a skin by the actors." -Charles Maynes, Sound Designer : Twister, U-571, Spiderman, Fantastic 4, Flags of Our Fathers, Letters From Iwo Jima, Moneyball. "Tom Hambleton is the most meticulous, dedicated and talented sound designer and re-recording mixer I have ever worked with…You will have fun working with Tom, and you will also have an incredible, rich soundtrack. You will hear sounds and jokes and dramatic moments you never imagined possible for your film!"